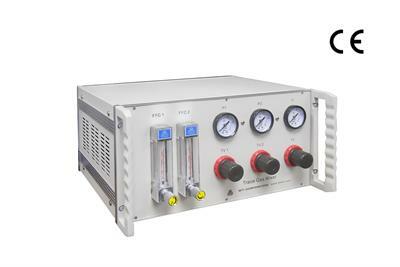 OTF-1200X-S50-2F Mini CVD tube furnace is a CE Certified split tube furnace for heating samples up to 1200°C. 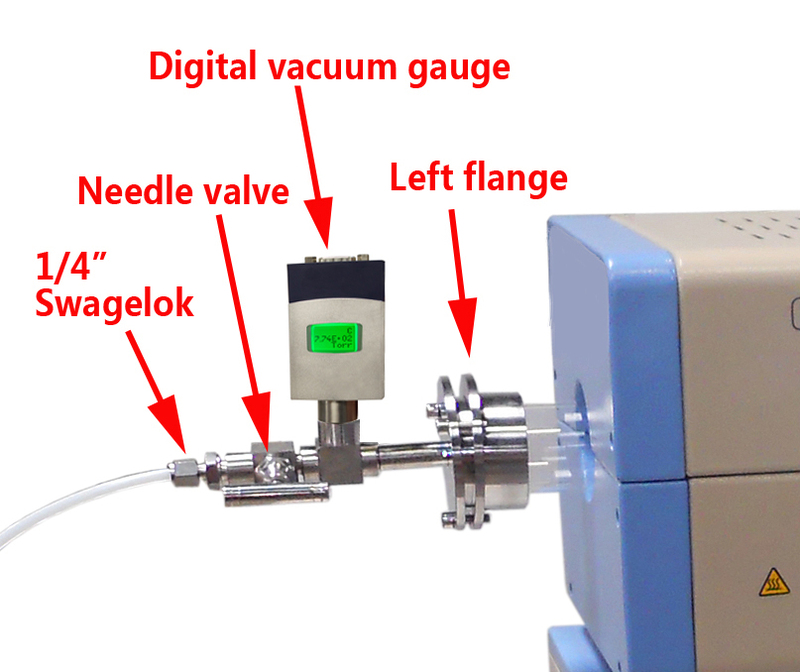 A KF25 Gas Outlet and a Digital Vacuum Gauge are installed in the right flange for connection with a 226L/m Mechanical Pump (with Pump Filter). The left flange is used to connect a 2 channel gas mixing station through the 1/4" gas pipe. 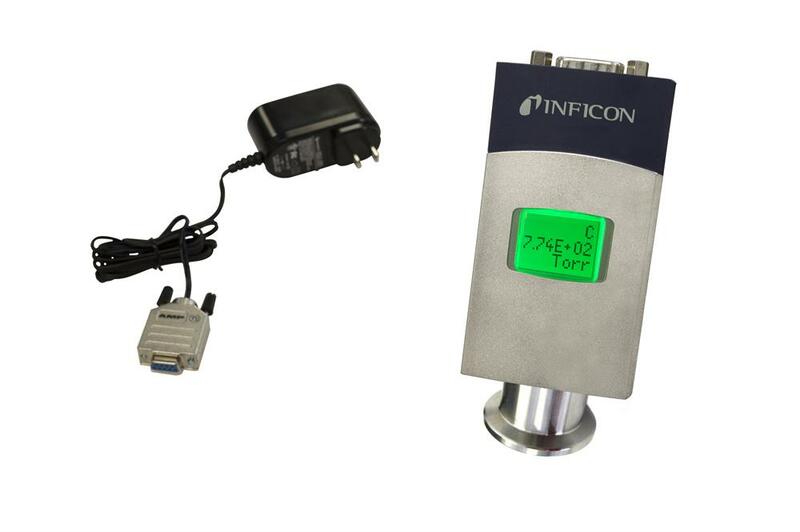 The precision temperature controller will provide 30 segments heating and cooling steps with +/- 1 °C accuracy. 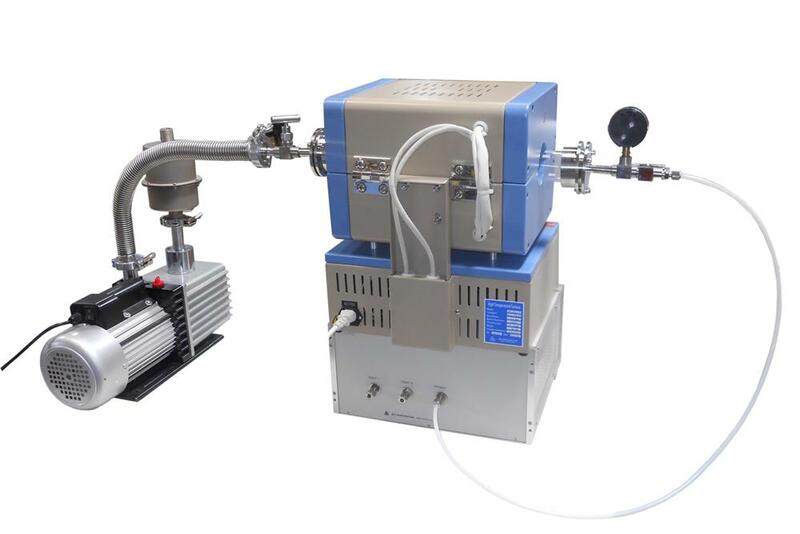 This furnace system also includes an anti-corrosive Pirani Capacitance Diaphragm Gauge to enable vacuum measurements with aggressive gases. Heating Zone Total heating zone length: 8" (200mm); Constant temp. zone: 2.3" (60mm) (+/-1°C) @ 900 °C. The following picture shows the temp. distribution across the heating zone, please click to enlarge. Overheating & broken thermocouple protection. Gauge is installed on the vacuum flange (left side) of tube furnace and provides a wide measure range (10^-5 ~ 1000 torr). 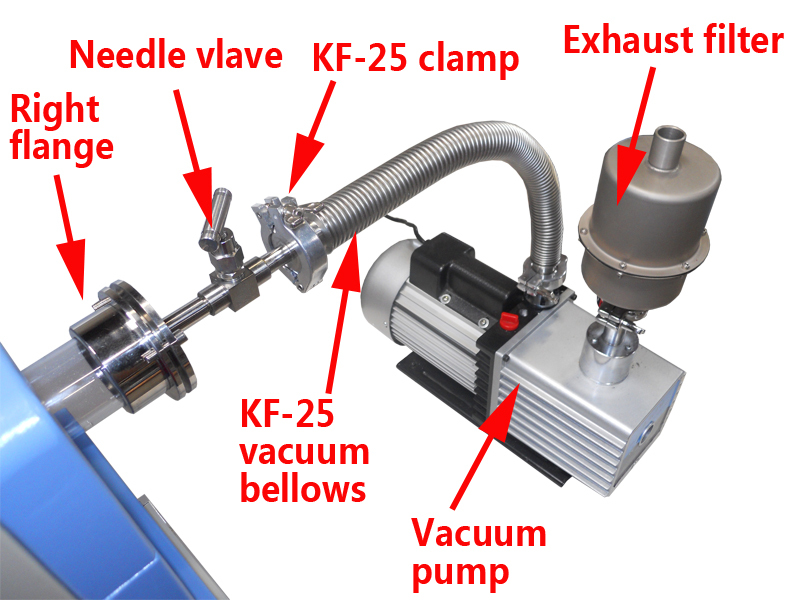 Voltage: The voltage of pump will be the same as the tube furnace. 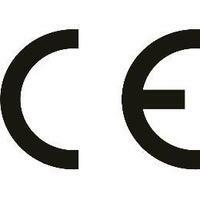 Warranty One year limited manufacturer's warranty (Consumable parts such as processing tubes, O-rings and heating elements are not covered by the warranty, please order replacements at related products below).